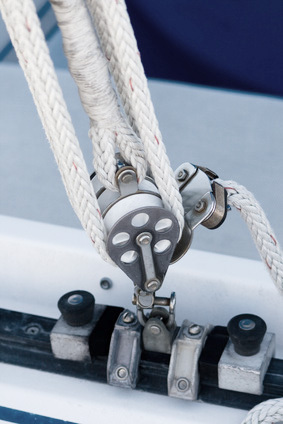 Underway LLC can handle all your boat, motor and sailboat repairs from stem to stern. Whether it be rigging, hull repair, engine repair, painting, bottom paint or full restoration. You name it, we do it! We even have a 10,000 lb capacity hoist in our boat yard (an essential part to any full-service boat repair shop). Under Way LLC offers one of the widest selections of used sailboat parts, including Masts, Stanchions, Bow Pulpits, Stern Rails, Winches, Vintage Nautical items, etc. Our used parts catalog is extensive. If you are looking for a hard to find part and don't see it in our online store, please don't hesitate to contact us. Chances are we have it!